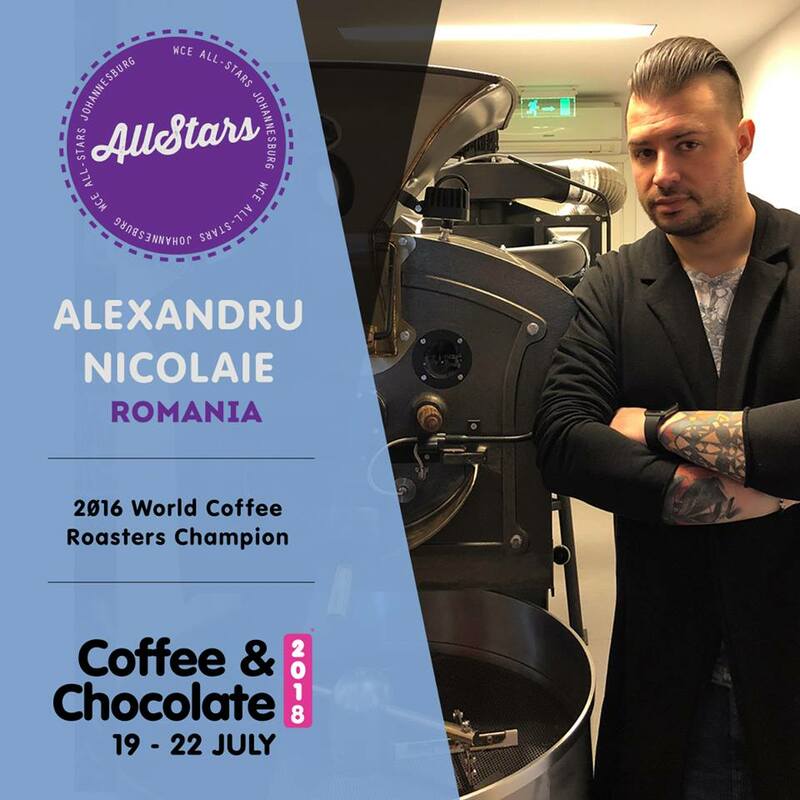 Catch Alexandru Niculae at the Coffee and Chocolate Expo Monte South Africa 2018! 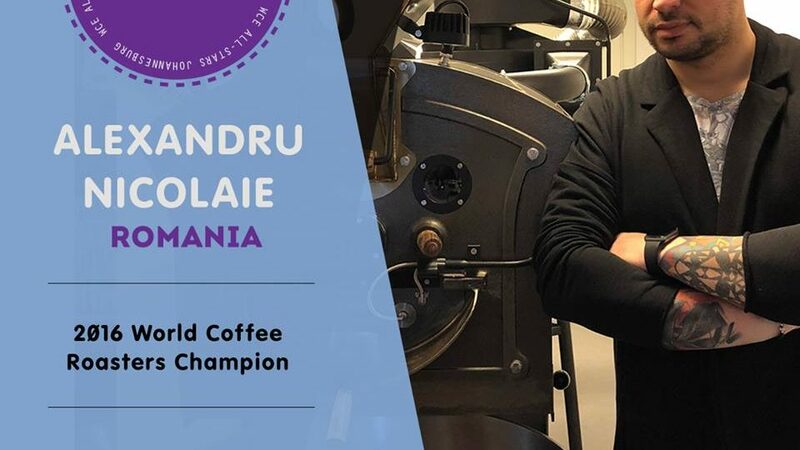 Catch Alexandru Niculae at the Coffee and Chocolate Expo Monte South Africa 2018! *Note that some answers have been shortened / edited for clarity. Romania vs South Africa: Not in terms of the World Cup – but how different is coffee culture in Romania when you compare it to South Africa? It’s hard to tell as I have never been to South Africa! Romania is growing a lot in terms of specialty coffee! More and more shops and roasteries are opening! I hope that more people will start drinking specialty, unfortunately our country has grown with commercials on TV with only dark roasted coffees, “black, strong” etc. We need to change this or at least try! What’s your opinion on retail / chain store coffee? South Africa has only recently “gotten with the times” in terms of major chain stores coming to our shores. Do you think the coffee we get at these establishments have a time and place in coffee culture – or are they drawing away from ‘true’ coffee culture? I am no fan of retail/ commercial coffee! Before specialty coffee I did not drink any coffee, because of the bitter and smoky taste. I am not smoking as well, maybe that’s the reason! We have plenty of chain-store coffee stores in Romania. And they are really famous. Mostly because of the brand and not because of the coffee. In Romania and in other countries from Europe, some big brands started bringing origin coffees. This is the only thing good, as it is free marketing for smaller companies, who can do the job way better! More people will start asking for origin and this is when we come to change people’s perceptions about coffee! What is your absolute passion in coffee? Tell us about your coffee passion a bit. I really enjoy brewing filter coffee. It is the reason why I got into coffee roasting. I competed in the world brewer’s cup championship 2014 and got the 16th place – and I knew for sure that if I wanted to get in top 6 I would have to roast the coffee. Each of us has a recipe, a signature in the way we roast/brew and it might not work with each coffee, from all the roasters. I also like a lot the quality control! Cupping is really important and should not be neglected, but we should think that people back home, the end consumer, will not use this technique, but they will brew the coffee in their favourite way! For example, a V60, or an ibrik. I do like to brew filter and find better ways to increase the quality in the cup! I was cooling down all my V60’s before brewing, with ice to get more unique flavours! What would you consider the BEST coffee bean in the world – and why? If the world were to run out of coffee and you had one day to prepare for it, what would you keep / stock-up on? Everything I could get my hands on! Freeze everything and enjoy:) but I hope that day would never come! It would be hard to live without a good coffee! Coffee preparation in competitions is almost always done on a manual espresso machine. If you were to choose an automatic coffee machine for your own home, which brand and model of machine would you choose and why? What is your one professional tip / trick to make better coffee at home? Weigh everything!!! Very important! Second please use good water (good for brewing coffee) and at least a decent grinder! There are so many brands for manual grinders that are really good! Do not be afraid to experiment but maybe sometimes it’s a good idea to ask your roaster for a recipe and also maybe they can give you some good water! I am sure they will help out! At least to see how different the coffee can be with your water that you have back home! Where do you see the future of coffee heading – in South Africa and around the world? I hope I will get to know the market in South Africa! And I really hope in the future, we will get more involved in helping out farmers to produce better coffees, better and new flavor profiles! The demand for specialty coffee is growing and growing, we must be able to get better coffees from all the regions, regarding if it’s Brazil or Kenya! This is what I think! What’s your opinion on capsule coffee? Lastly, do you have a favourite specialty coffee recipe to share? I think one of the easiest methods to brew is a clever dripper! I use the smaller version, so 14g of coffee, ground a bit coarsely than a V60 and 240ml of water! Remember to weigh and time everything! First stage I do a bloom of 30-40 sec depending on how fresh the coffee is, and I use 50 ml of water, heated at 88-93C, depending on the roast level and developing! After I pour the water circular to get rid of dark spots (in the colour of the crema)! At 1:45 I put the clever on the server and it should be done in max 3:15. We’d like to thank Alexandru for his feedback and allowing us to experience his true and undying passion for superb coffee. Catch him at the Coffee and Chocolate Expo from the 19th – 22nd July! Cover image credit: Coffee and Chocolate Expo 2018 Facebook Page – all credit to source. Why Do Coffee Machines Make Noise? Why Are Coffee Machine So Expensive? Hello, Dubai: How’s Your Coffee Scene?